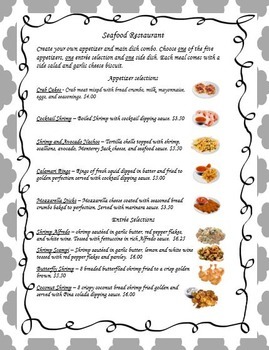 Seafood Restaurant Dining Out is a great addition for your classroom! 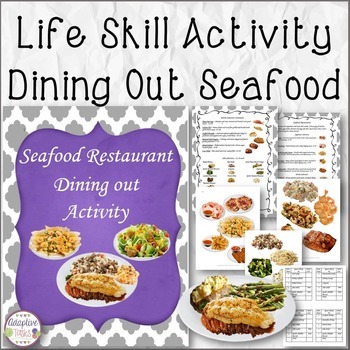 This activity is a life skill that shows dining out skills as well as serving and math skills. 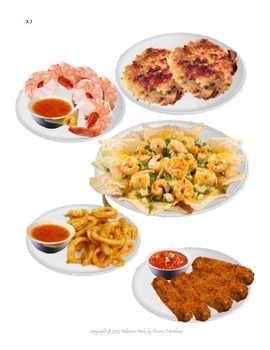 Activity includes colorful real images along with 10 customer orders to follow. Students fill orders, add customer tickets, and use U.S. currency included to pay for meals. This activity works well for classroom with special needs as well as dramatic play. 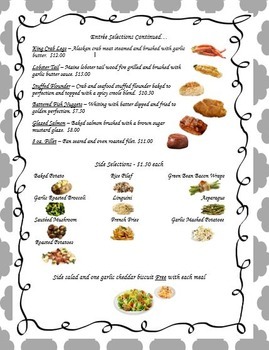 Check out my Italian, Mexican, and Breakfast restaurant activities!